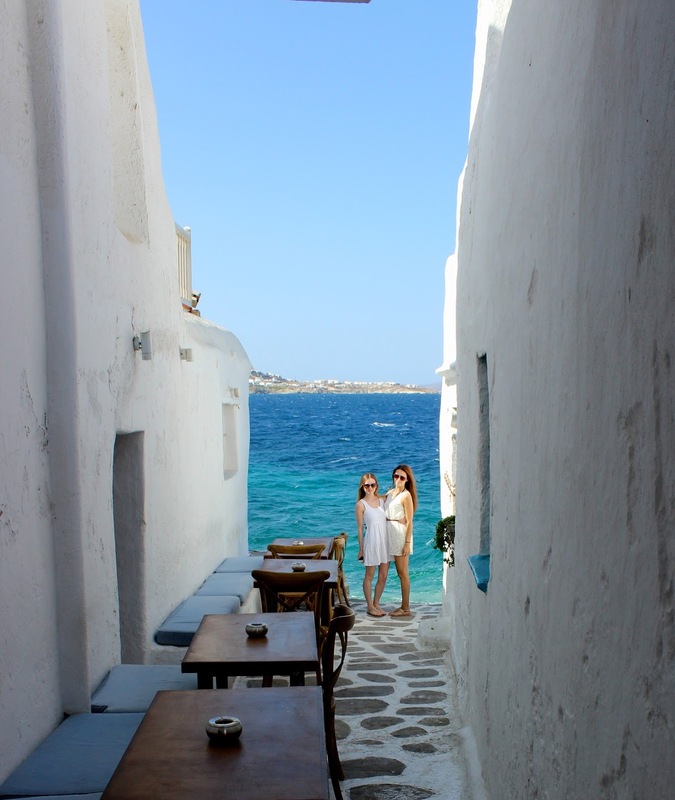 I knew Mykonos would be beautiful, but it really is the most picture-perfect place. 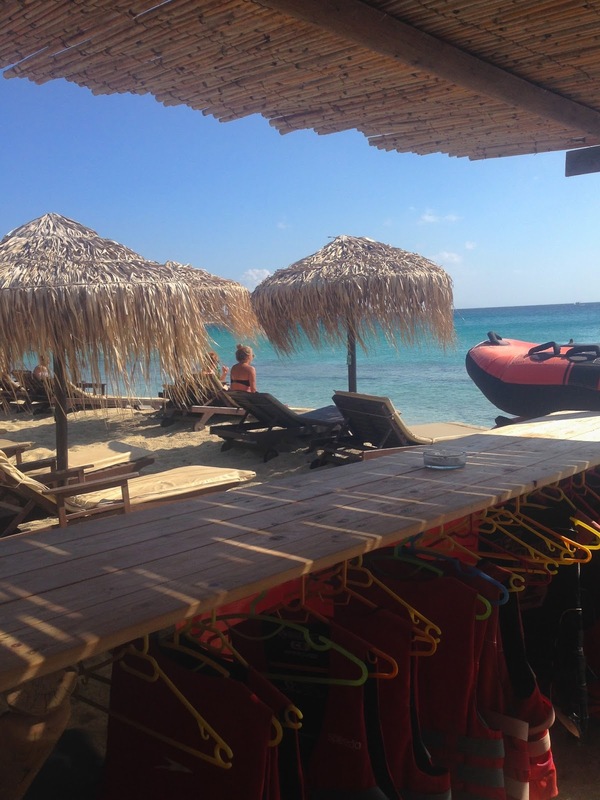 We stayed in Platys Gialos, a village aligned with restaurants over looking the water and a huge selection of sunbeds & umbrellas along the beach front, it's a perfect experience whether you are dining or relaxing. The really fit, on demand waiter was an absolute dream, yes I was considering smuggling him back in the UK and offering him the full time job. 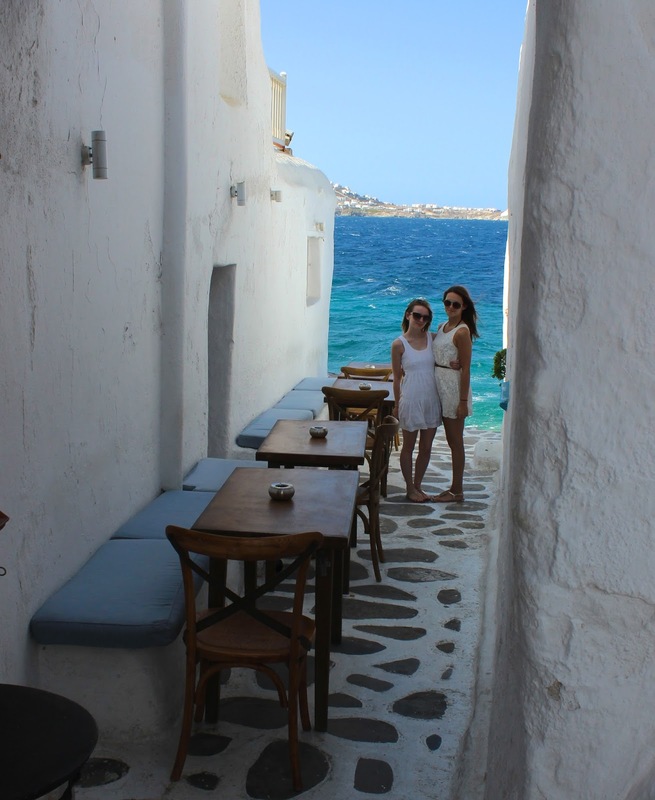 The Greek crystal clear waters attract tourists from all over the world and Mykonos can be quite pricey depending on the time of year, but with temperatures at 24 degrees plus all week, I would recommend September as the ideal time to visit. It's slightly quieter than in the depths of the summer, however it was still buzzing and an added bonus is a guaranteed sun lounger on the first row and well ..all day sun, a necessity obviously. To kick things off, we decided to have some fun on a jet ski, I threw myself out of my comfort zone majorly here but I absolutely loved it (going under water panics me). Speeding over the two tone sparkling waters in the sunshine surrounded by the most amazing yachts was the best start to our holiday. Next on our to do list was to hire a quad bike, they are ridiculously fun and trust me, it takes being windswept to a whole new level. With the quad's being a nifty way to travel from beach to beach we decided to venture to Paradise Beach, all you have to do is follow the loud music and you are guided to where you need to be. We headed to the famous Tropicana Bar, which attracts the young, lively crowd and the older who are still young at heart, an eye opener that's for sure. Basically, unless you have a bum like Iggy, or the girl in the blue bikini (impressive!) 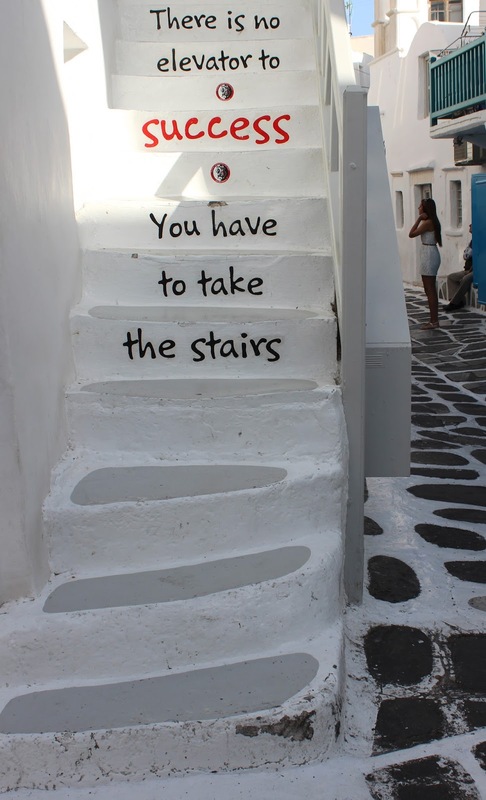 then DO NOT get on a podium, just kidding, go crazy, no one cares in Myknonos. It's a party that starts from when the sun rises. Did someone say cocktails? 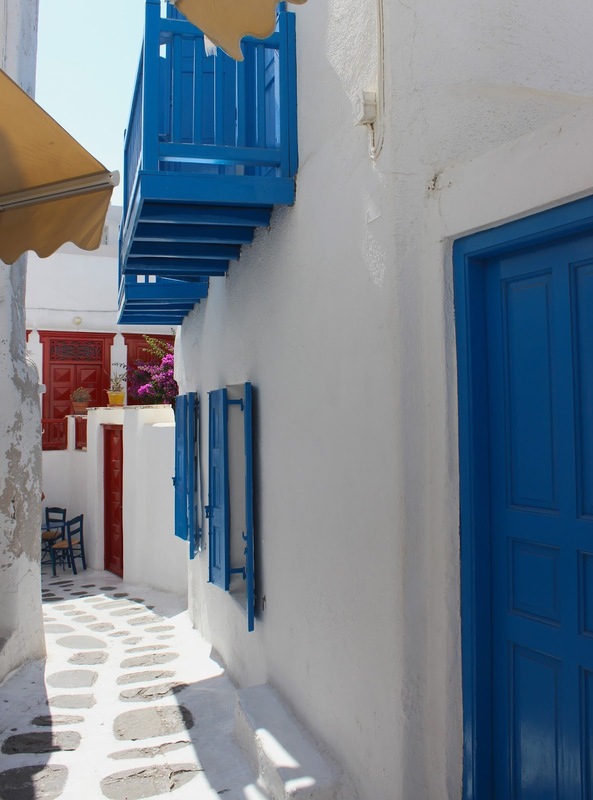 Mykonos town is simply stunning. The windmills, endless cobbled streets, continuous white washed churches & buildings with colourful wooden shutters are just some of the original concepts which have kept it's unique character (all of which are major photo opportunities too!). 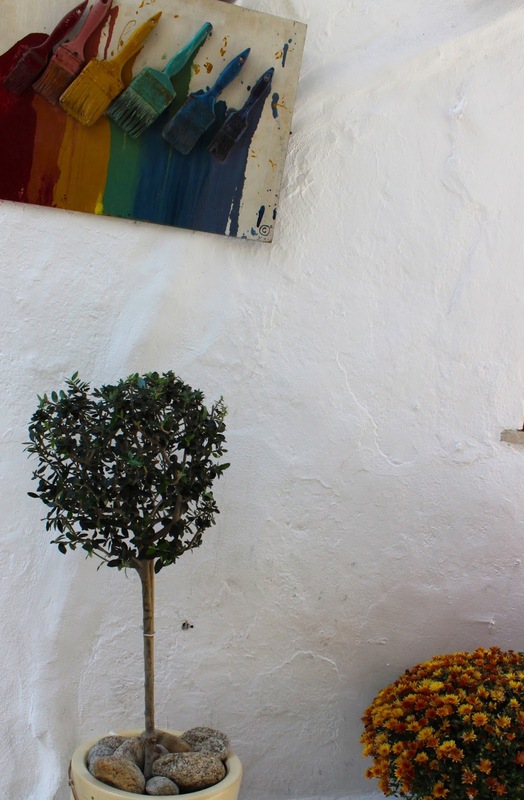 The narrow, winding streets are bursting with the best selection of cute little shops, all of which are ideal for a fashionista, from vintage to designer, there's everything you could wish for. As the evening draws in, the town develops into a lively place, there are many bars and restaurants located in a spot that will satisfy every taste, whether it's little venice to watch the sunset, or right in the heart of the town to absorb the atmosphere, you certainly wont be short of choices. *Note, really easy to get lost whilst wandering around, everywhere looks the same, don't panic, you will make it out eventually. Ben & Jerry's Baked Alaska Milkshakes, best drink i've ever had!! A lovely lady who I was sat next to on the plane (basically our pre holiday tour guide) informed us of the open air cinema in Mykonos town, I've been meaning to visit one of the current pop-ups in London, however never got round to it so this was something I definitely wanted to do. Cine Manto is the perfect location and atmosphere to enjoy a film under the stars on a cool evening, in a garden surrounded by palm trees, relaxation to the max. We went to the showing of 'Lucy', a film which is mind blowing, but incredible. One of those that you leaving feeling like you're actually part of it and look at everyone in full depth thinking you are now able to conquer the world, ha ha, if only. I would recommend seeing it and that's coming from someone who loves a girly chick flick. 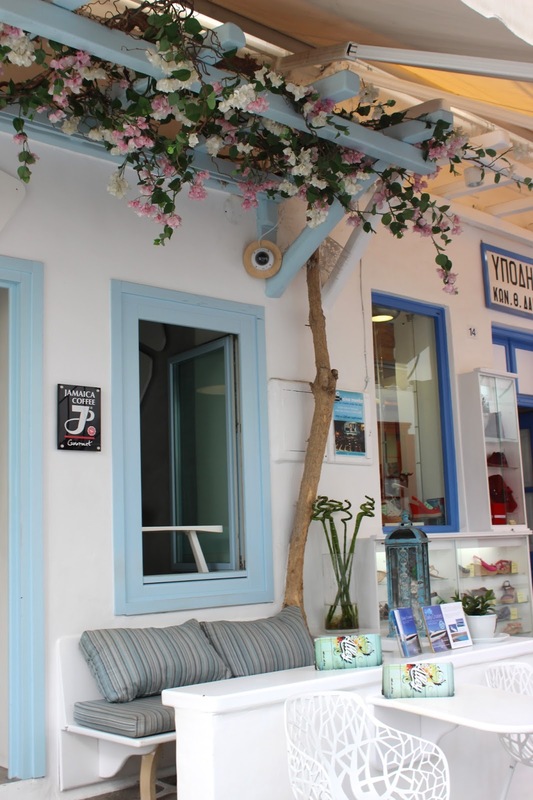 To sum it up, Mykonos has it all, whether you're wanting to relax or to partaaay the night away, you'll be in the ideal location. 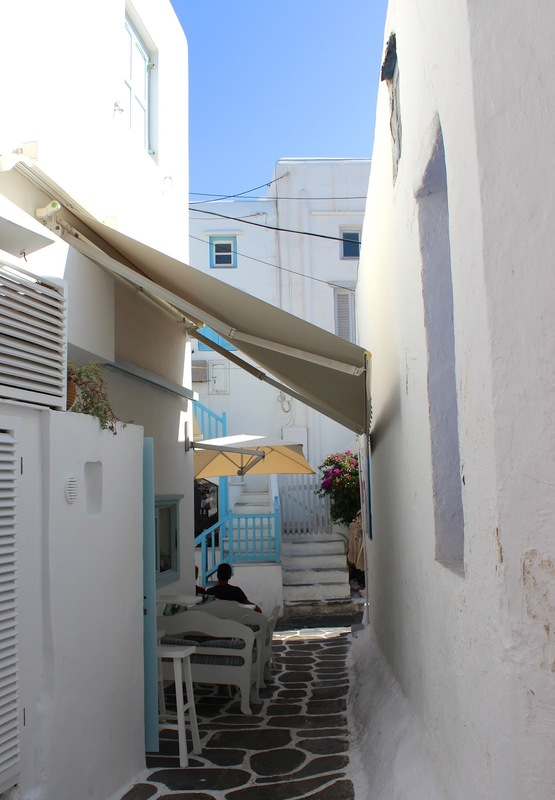 With it's delicious food and incredibly nice, welcoming Greek people, Mykonos is traditional and unique. I urge anyone to go, you will LOVE it. Ps. 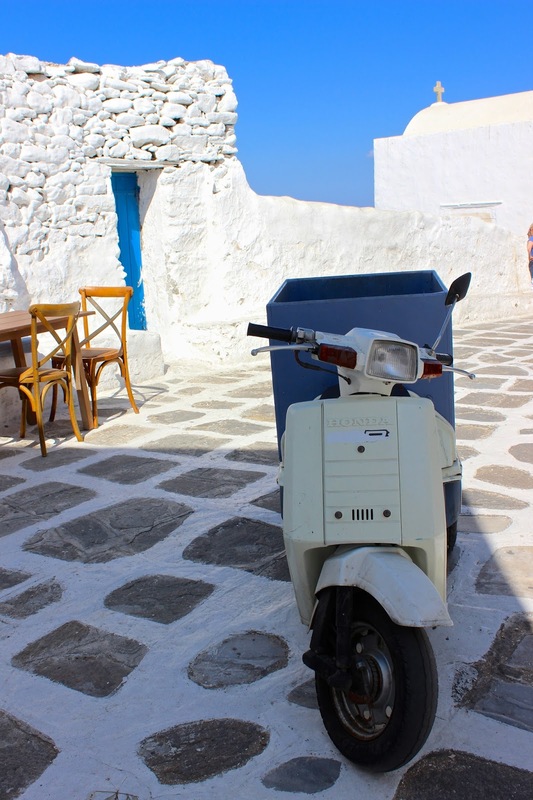 If you can, totally island hop to Santorini. I'm so gutted we didn't plan this into our trip as it looks like the most stunning place. I so want to go, maybe I should wait until I have a boyfriend? It looks like quite the romantic scene, I'll get back to you on that one... saying that, you might have to wait a while. 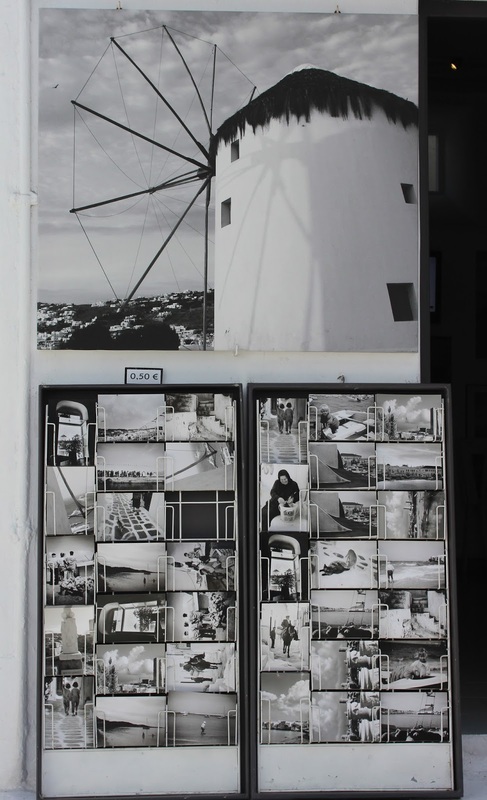 So what do you think of Mykonos on first impressions, or second, as the case may be? If anyone has any posts about their travels this summer then do leave me the link below, I'm suffering post holiday depression and dying to book a birthday getaway ASAP.. 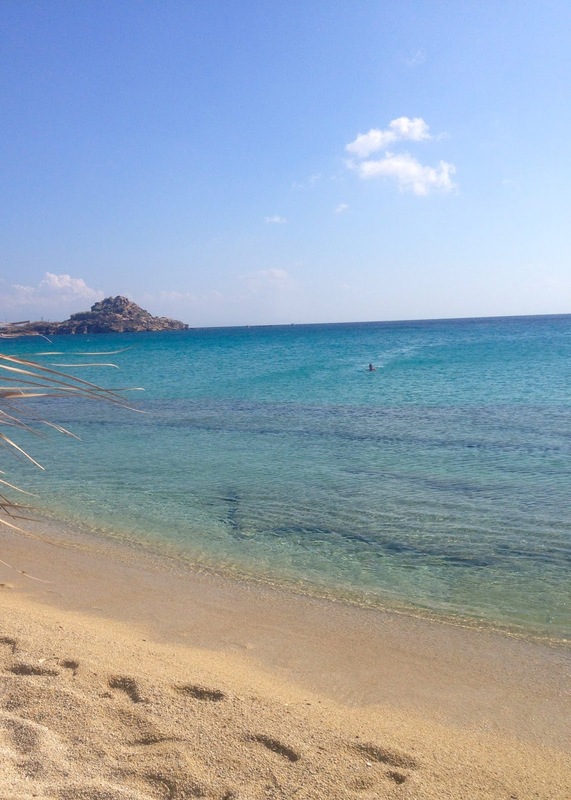 Sorry for asking but do you know if mid October will be good time to visit Mykonos?